We are pleased to announce that we have updated our product range with new VDP2504 snow plow for SUV, light truck and tractor. Clean working trail – Our patented polyurethane blade holders copy the road surface and provide cleanest possible working trail. 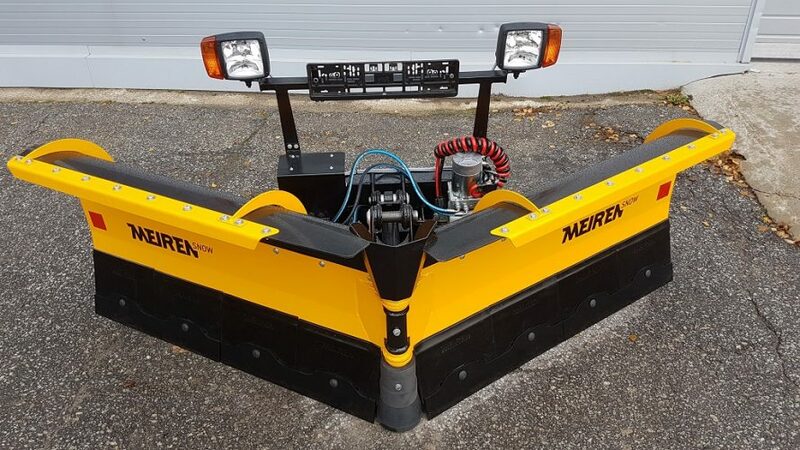 Reliability – The snow plow is equipped with polyurethane blade holders that smoothly run over an obstacles as manhole covers. 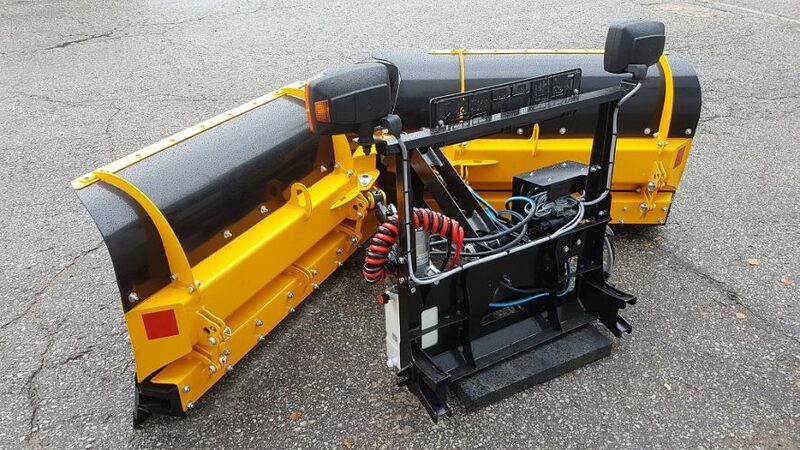 This reduces damage and the maintenance costs for the plow. 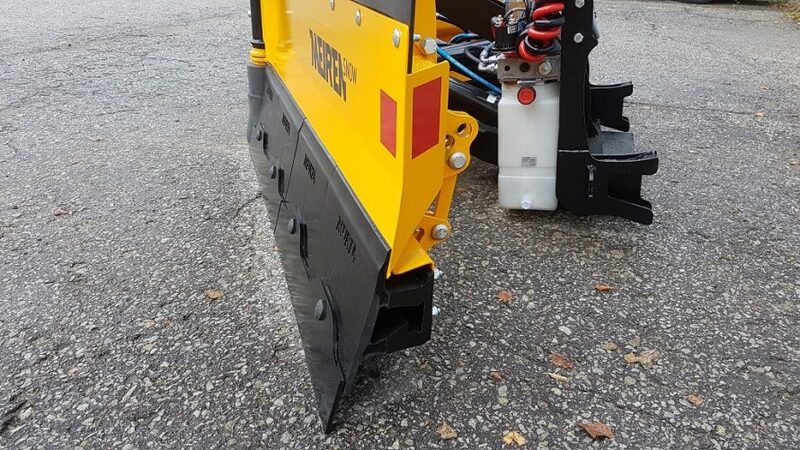 Low noise – Thanks to polyurethane blade holders the plow works silently, as the noise from the steel blades is not transferred to the mouldboard. Adjustable blade angle – The angle of the blades (in relation to the ground) can be adjusted. In case of steel blades we recommend to use an aggressive or 90-degree angle, with rubber blades use passive angle. Easy to use – The snow plow is operated easily from the cabin, using a joystick. 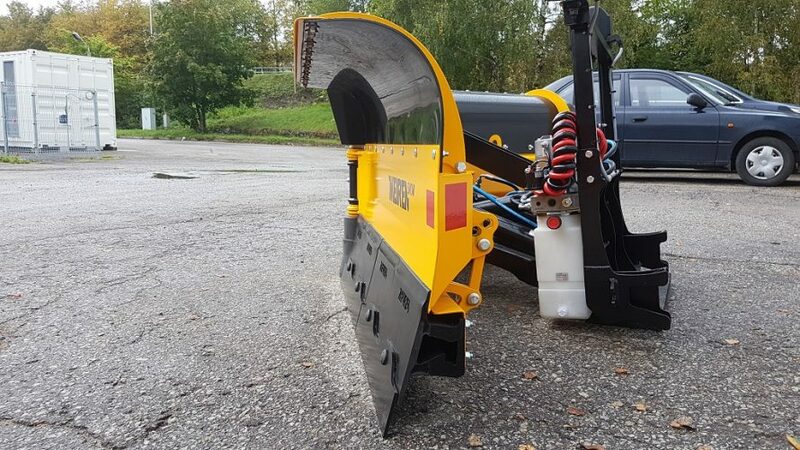 Economical – Coping the road surface and the smooth over run of the obstacles, guarantee a more efficient working process as clean work trail, possibility to use less salt, reduced fuel consumption and maintenance costs. 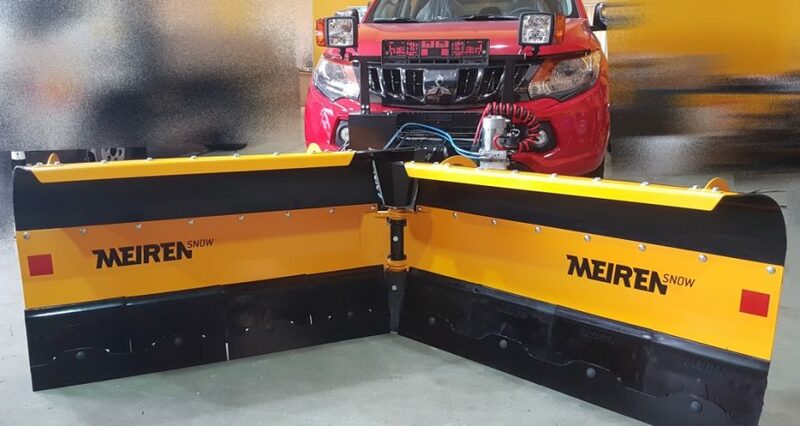 Universal applications – The snow plow is suitable for SUV (with parallelogram), light trucks and for tractors.